In his new role, Kuchta is responsible for planning, administering and directing the college’s intercollegiate athletics, intramural and recreation programs, and for coordinating practice and game schedules with the Field House Complex management team. He provides overall leadership and guidance to the Athletics Department, and generates private/corporate support for the PSC intercollegiate teams and the PSC Foundation. In his previous role at PSC, Kuchta gained extensive experience in the PSC Athletics Department. In addition to being responsible for the release of all public information regarding the department, including game-day wrap ups and special interest pieces on the teams and athletes, Kuchta also was responsible for the management of all logistics and aspects pertaining to the successful execution of home intercollegiate athletic contests, supervised game-day personnel during all home events, coordinated the set up and break down of home games and assisted with the enforcement of both PSC and Athletic Department rules and regulations, as well as those of the NJCAA. He also assisted with academic eligibility for all student-athletes. Kuchta frequently represented the college at both conference and region athletic director meetings, as well as assisted with fundraising efforts. He also served as the department’s official statistician. Kuchta came to PSC from the Daily Southtown, where he had served as a freelance sports writer since 2004. 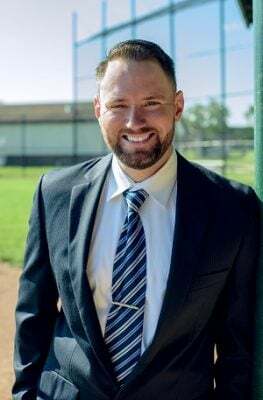 He also has served as a business development associate for Willoughby Associates Limited in Winnetka, Ill. and an assistant sports editor and sports writer for Marshalltown Times-Republican, in Marshalltown, Iowa. Among his additional athletics-based activities, Kuchta has served as a Relay for Life captain, a sports/news director for his college radio station, a local news and sports writer for his college’s weekly paper, and a play-by-play announcer for the Central College Basketball team. He also assisted with the coordination and planning of Central College’s intramural leagues, and served as a student-athlete liaison between the Central College Student-Athlete Advisory Council and the men’s track and field team. Kuchta also has served as the assistant baseball coach for Morgan Park Academy. Kuchta was a member of the Track and Field Team at Central College from 1998 to 2002, and served as team captain in 2001. His team was named Iowa Intercollegiate Athletic Conference Champions in 1998, 2000, and 2001. They also placed third in NCAA Division III national competition in 2000. Kuchta has a bachelor’s degree in communication from Central College. “I’m also eager to continue the winning tradition that my predecessors, Bob Fairbank, Ed Schaffer, Jacqueline Hoak and Chris Zorich have all helped build,” he added.